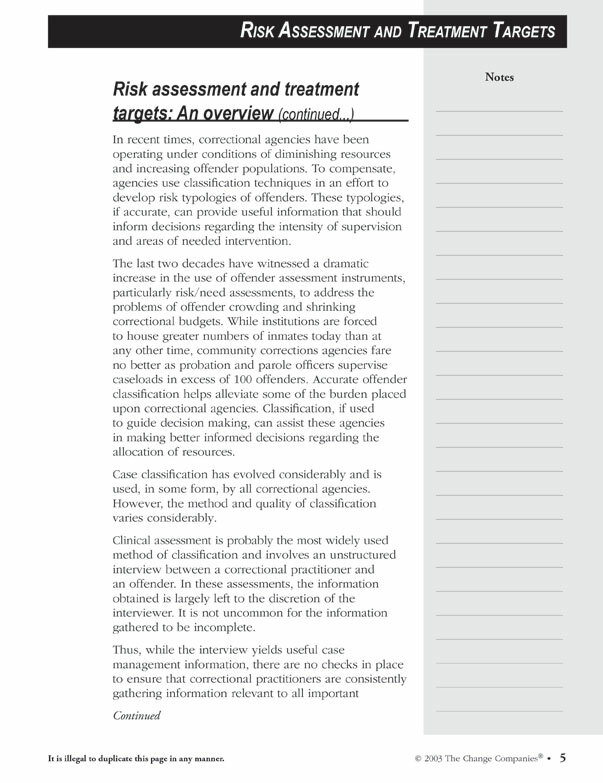 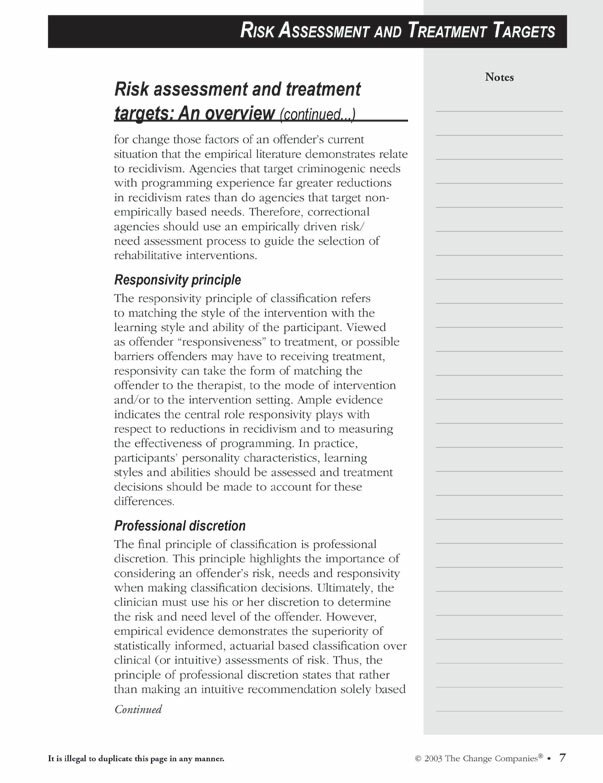 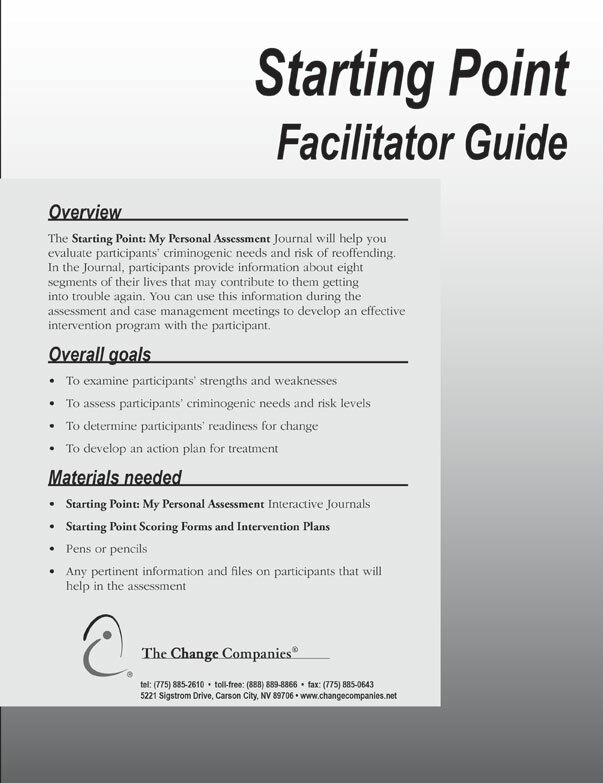 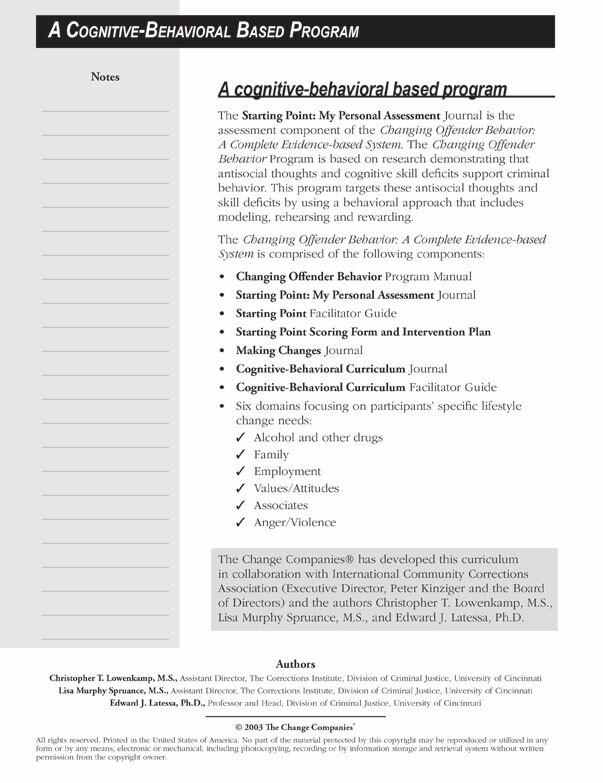 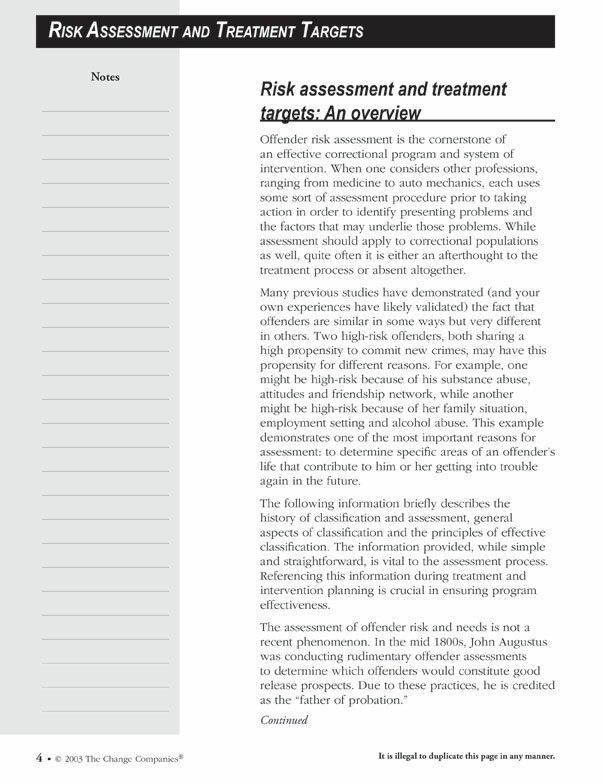 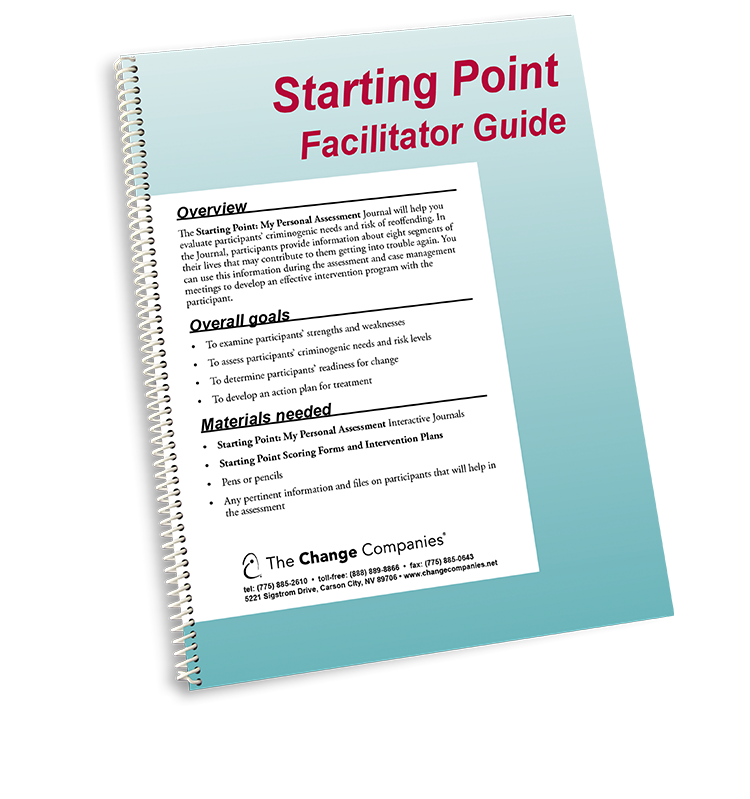 This Guide begins with a conceptual overview, including the role assessment plays in criminal justice. 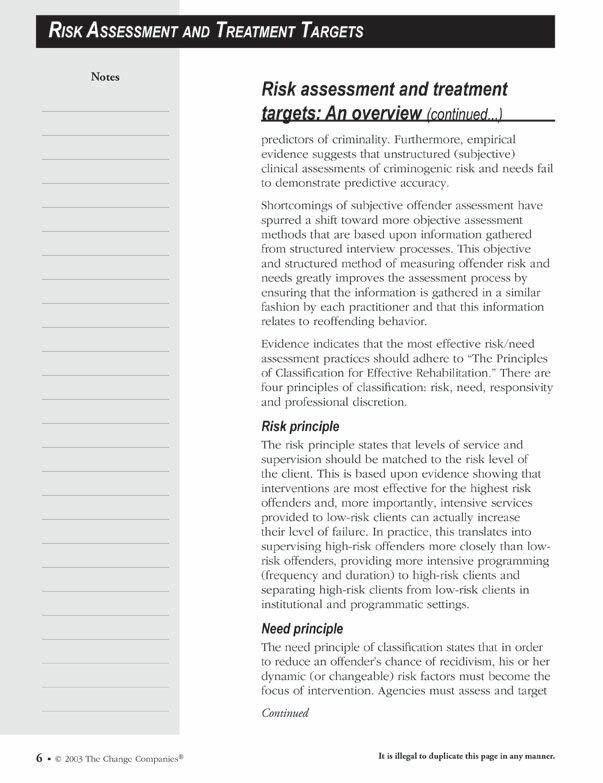 It also provides background information on risk, need and responsivity and identifies principles of professional discretion. 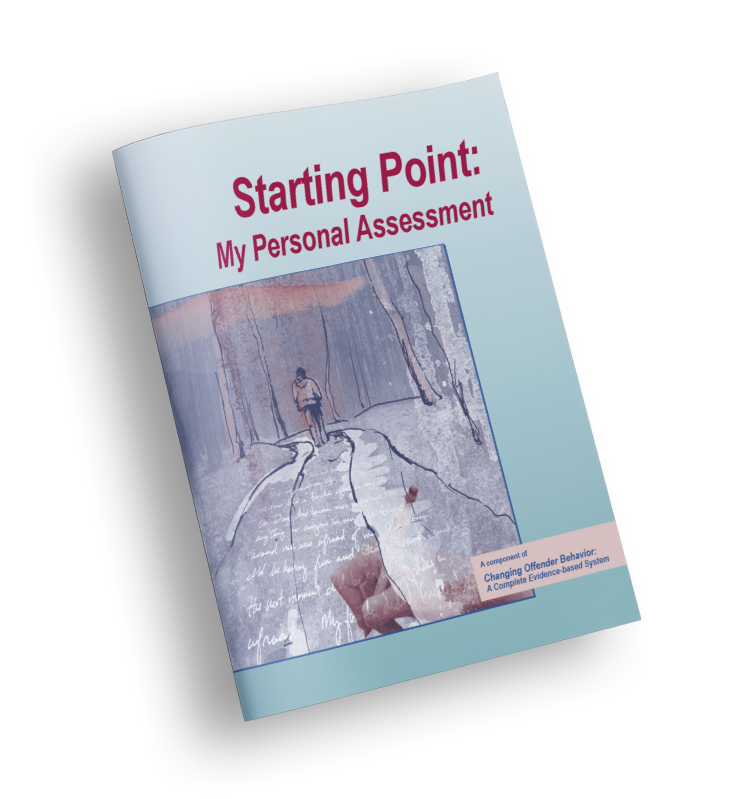 For each domain (area of assessment), instruction is provided on how items should be scored; classification of risk and treatment needs; and intervention recommendations for specific levels of classification.